The pupils who followed the mindfulness program had lower levels of somatization, depression, and negative feelings. According to an American study published in the journal Pediatrics, mindfulness (“tuning in” instead of the “tuning out” in other meditation practices) improves the psychological health of children from low-income families. 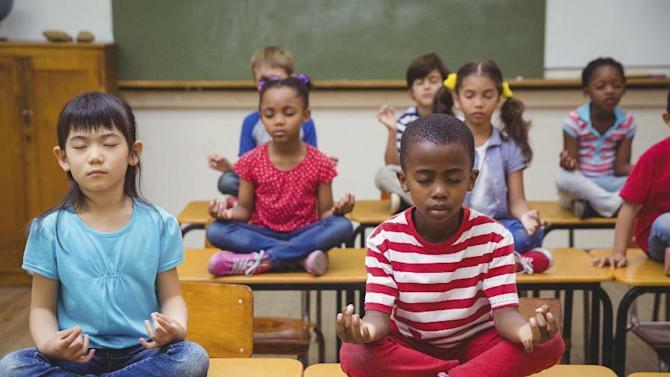 American researchers evaluated the impact of an MBSR (Mindfulness-Based Stress Reduction) program in students from low-income, minority backgrounds, in two different public schools. The aim was to see whether these mindfulness sessions could improve the children’s psychological wellbeing and enable them to better manage their emotions. Three hundred students in grades five through eight were followed by Erica Sibinga and her colleagues from the Johns Hopkins School of Medicine in Baltimore in the US. Of these students 99.7% were African American and 99% were eligible for free lunch. Some were allocated to the MBSR program for 8 weeks, and the others followed a health education program. Each MBSR session included formal and informal techniques aimed at reducing dysregulated focus on the past and worries about the future. The findings showed that the students who followed the MBSR program had lower levels of somatization, depression, negative feelings, rumination, self-hostility and post-traumatic symptoms than those who were assigned to the health education program. In other words, mindfulness can improve psychological functioning and moderate the negative effects of stress in children. It could prove to be an effective treatment for the early management of anxious and depressive temperaments. This work corroborates a British study published in April 2015 in the medical journal The Lancet, which showed that mindfulness-based therapies were an effective alternative to standard treatment with antidepressants for depression.